The property is currently being redecorated throughout, with new floor coverings to be fitted in the conservatory and on the stairs. The current wet room will also be replaced with a bath. Larchdale Close is tucked away in a quiet corner of Broadmeadows, enjoying close proximity to Broadmeadows Park. The bustling town of Alfreton is a short drive or bus ride away, offering many local amenities, such as supermarkets, restaurants, schools and medical services. A white UPVC double glazed door opens onto the entrance hall, a neutrally decorated space with carpeted flooring. The hall is fitted with a wall light and has a white colonial door to the lounge. A lovely 'L' shape lounge looking out over the front of the property through a white UPVC double glazed window. To be decorated in fresh cream, the lounge is fitted with grey carpeted flooring and features a TV bracket, floating shelves, a ceiling light and a radiator, plus a white colonial door onto the under stairs storage cupboard and a further white colonial door onto the dining kitchen. A great sized family kitchen, looking out over the conservatory through a white UPVC double glazed window. Decorated in cream with tile effect vinyl floor and natural stone tone splashback tiles, the kitchen is fitted with a range of beech effect cupboards topped with black surfaces and a stainless steel sink and drainer, the kitchen further benefits from an integral Beamatic range style electric oven and five ring gas hob, a chrome extractor hood, space for a washing machine, condensing drier and fridge freezer, two ceiling strip lights, power points and a radiator. A white UPVC double glazed door opens onto the conservatory. Perfect for use as an additional sitting room or separate dining room, the conservatory looks out over the rear garden and side through white UPVC double glazed windows, with French doors onto the garden and a door to the side. Soon to be fitted with vinyl flooring, the space features wall lights and power points. A wide set of carpeted stairs lead up to the first floor landing, a neutrally decorated space with a white UPVC double glazed window to the side, power points, two ceiling lights and white colonial doors onto both bedrooms and the bathroom. A great sized master bedroom, looking out over the front of the property through a white UPVC double glazed window. Soon to be re-decorated in neutral cream/white, the bedroom is fitted with grey carpeted flooring, and features a radiator, power points and a ceiling light. To be decorated in cream/white, the bedroom looks out over the garden through a white UPVC double glazed window. Fitted with carpeted flooring, power points, a ceiling light and a radiator. Soon to be converted to a bathroom, the space currently features white tile decor, a curtained off electric shower, a pedestal handwash basin and a low flush WC. A white UPVC double glazed window looks out to the rear garden. A paved patio lies outside the back of the property, with steps up to a raised private lawn with a shed to the rear. Screened with timber fencing and evergreen trees, the garden is perfectly private. Offering a tarmac driveway to one side leading onto the single garage, the property offers ample off road parking and has a pretty, well maintained rockery garden to the side. Property reference Larchdale39. The information displayed about this property comprises a property advertisement. Rightmove.co.uk makes no warranty as to the accuracy or completeness of the advertisement or any linked or associated information, and Rightmove has no control over the content. This property advertisement does not constitute property particulars. 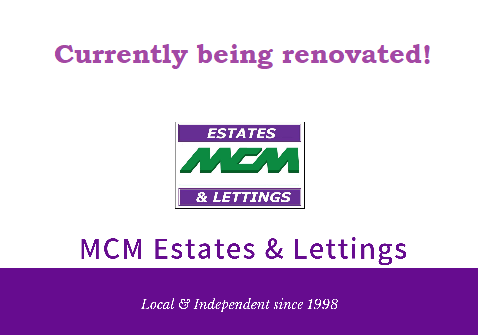 The information is provided and maintained by MCM Estates & Lettings, Jacksdale Lettings.